Polartec power stretch ice skating jacket. 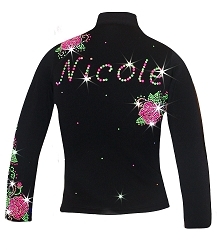 Fitted style without the hood provide comfort and neat look on the ice. 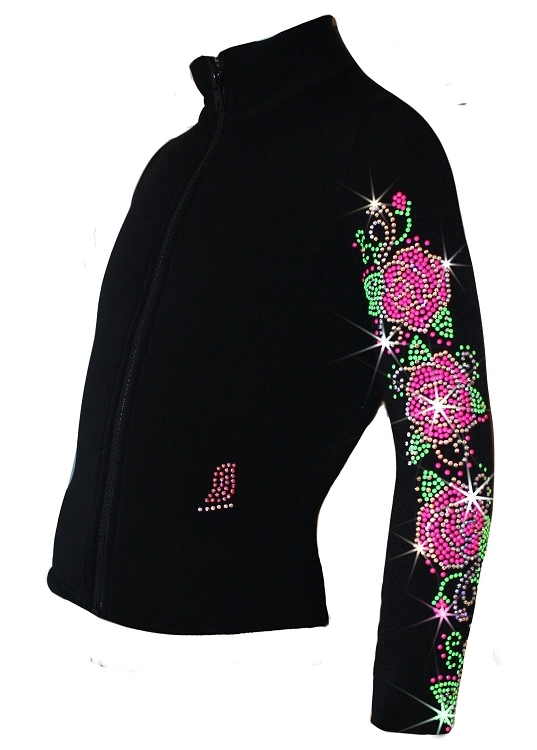 Featuring bright neon rhinestuds and sparkly rhinestones "Roses Swirls" design on the left sleeve of the jacket. Stay warm and look cool in this clean and sophisticated design.Available in girls and women sizes. Please, see matching pants to complete your outfit.